2 Definition Me·ton·y·my [mi-ton-uh-mee] Noun - Rhetoric A Greek term meaning “a change of name” A figure of speech that consists of the use of the name of one object or concept for that of another to which it is related, or of which it is a part. 4 Example 2 “Friends, Romans, countrymen, lend me your ears" From William Shakespeare’s play Julius Caesar “Ears” stands in for attention He wants the attention of his peers. 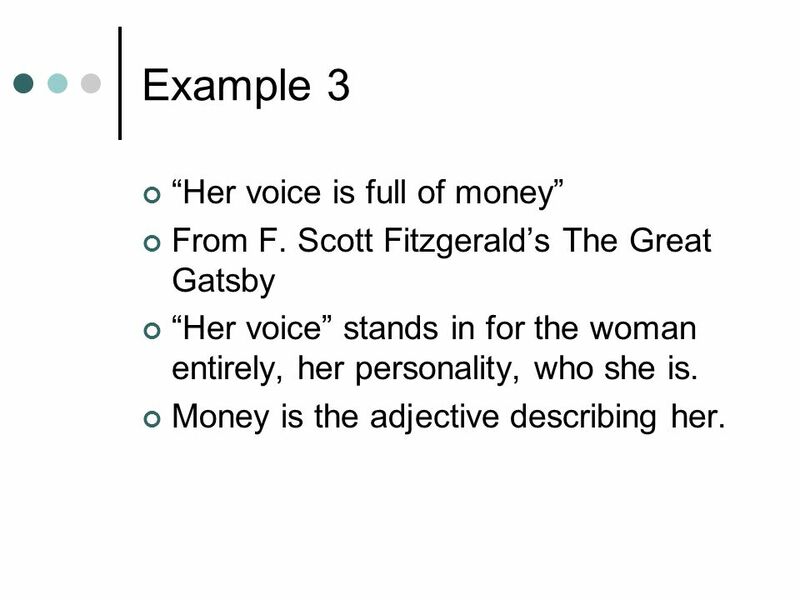 5 Example 3 “Her voice is full of money” From F. Scott Fitzgerald’s The Great Gatsby “Her voice” stands in for the woman entirely, her personality, who she is. Money is the adjective describing her. 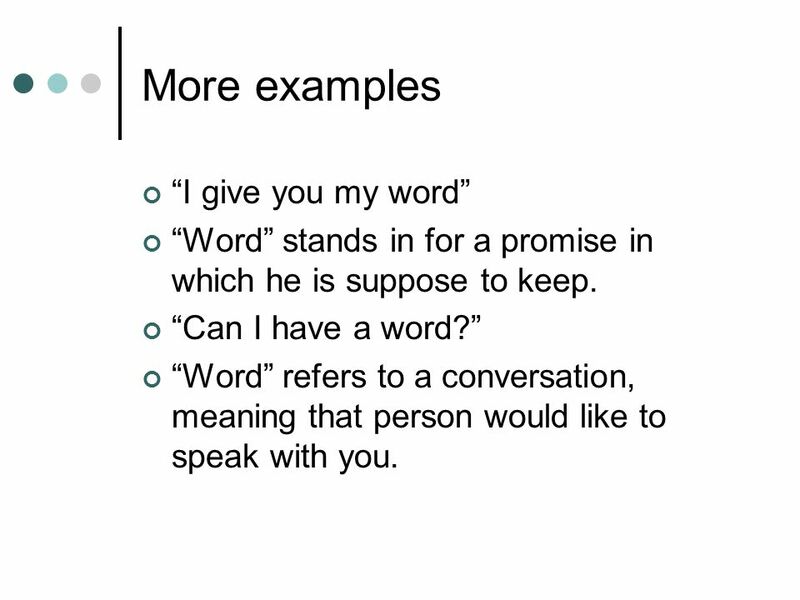 6 More examples “I give you my word” “Word” stands in for a promise in which he is suppose to keep. “Can I have a word?” “Word” refers to a conversation, meaning that person would like to speak with you. 7 More examples The “White House” stands in for the president who is involved in government affairs. 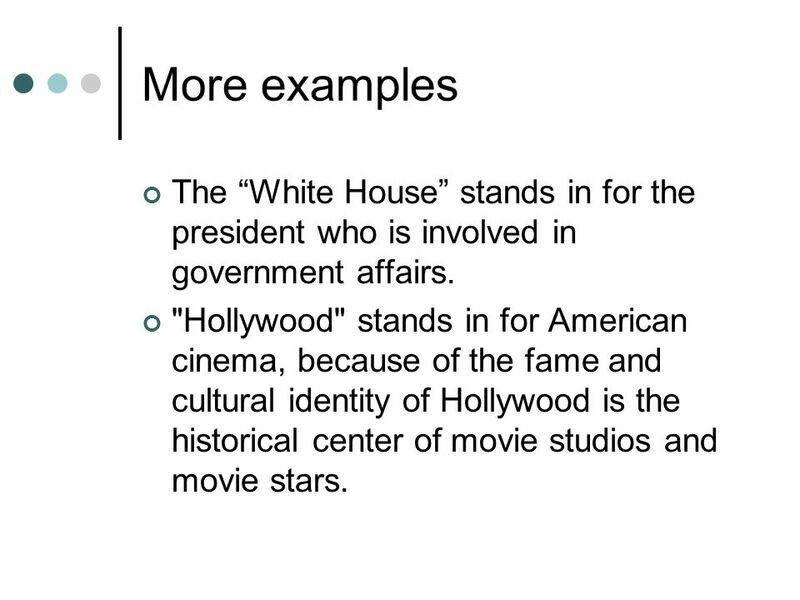 "Hollywood" stands in for American cinema, because of the fame and cultural identity of Hollywood is the historical center of movie studios and movie stars. 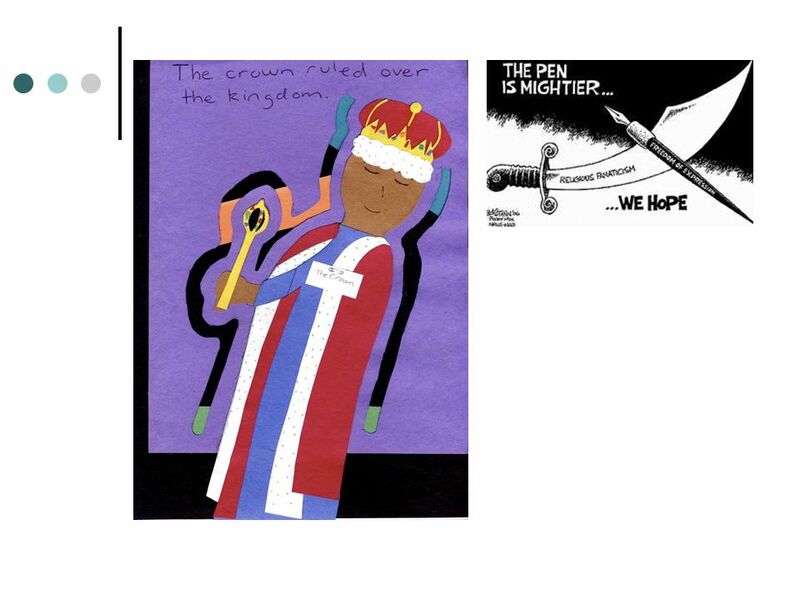 8 More Examples The “crown” stands in for a king or ruler, someone with power. 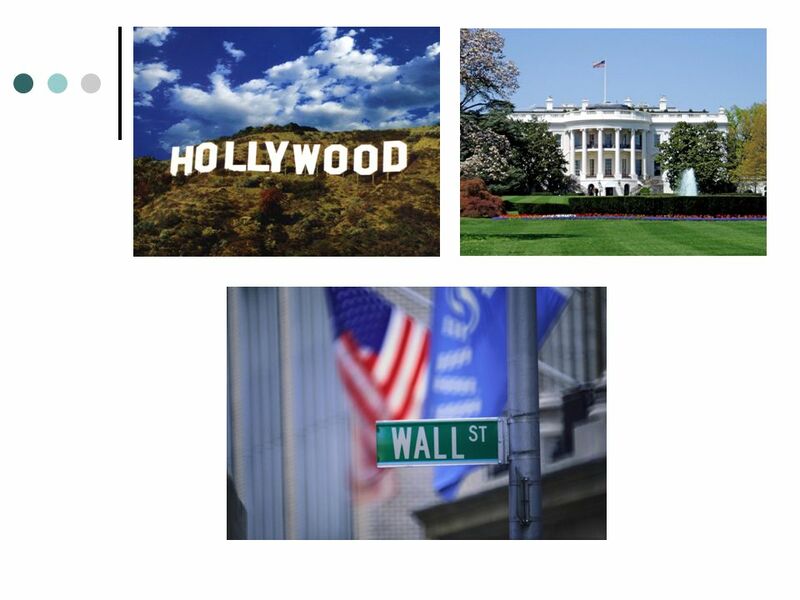 “Wall Street” refers to the United States money market or financial interests. 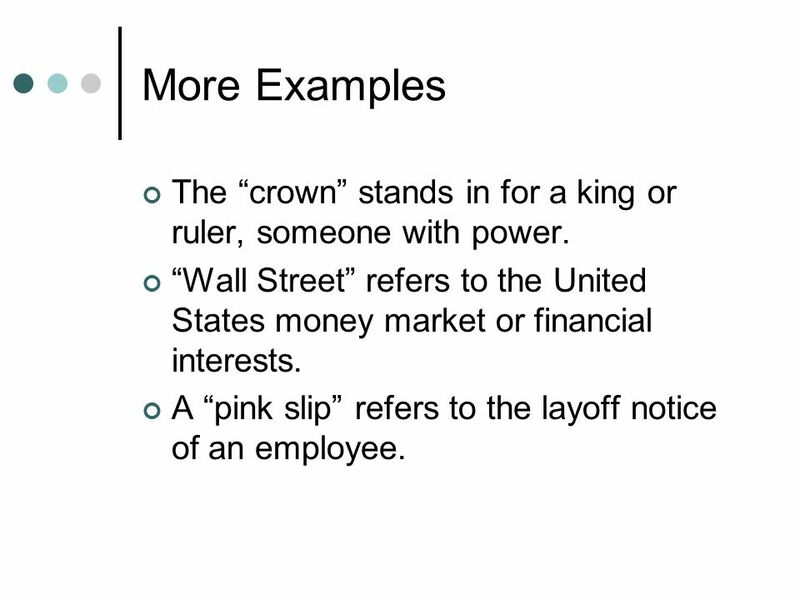 A “pink slip” refers to the layoff notice of an employee. 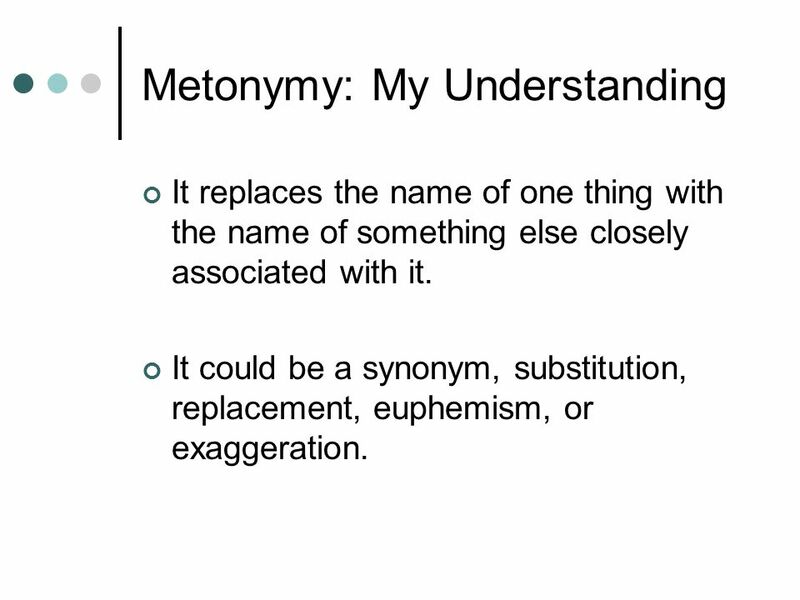 11 Metonymy: My Understanding It replaces the name of one thing with the name of something else closely associated with it. It could be a synonym, substitution, replacement, euphemism, or exaggeration. 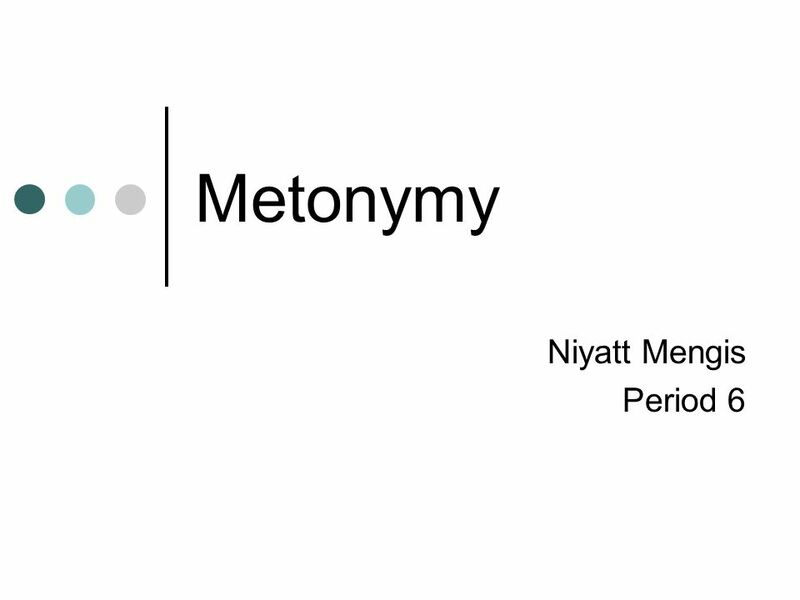 Download ppt "Metonymy Niyatt Mengis Period 6. 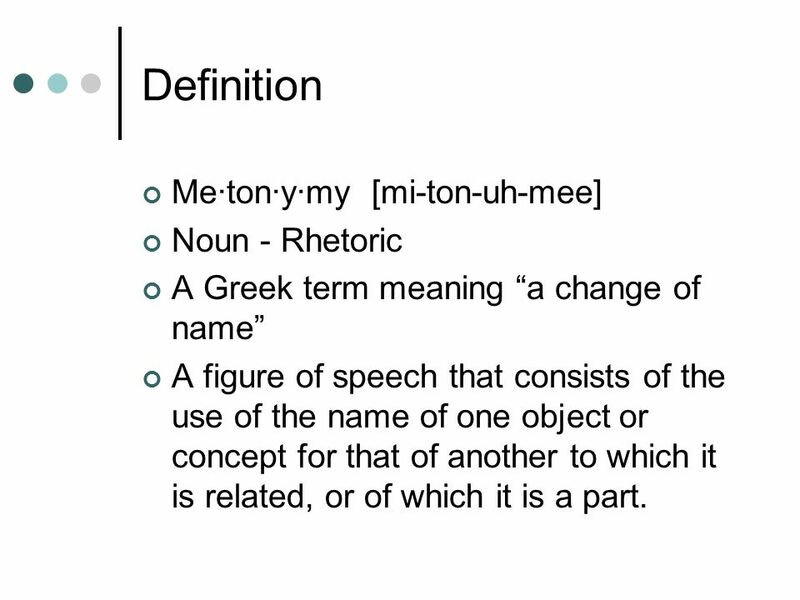 Definition Me·ton·y·my [mi-ton-uh-mee] Noun - Rhetoric A Greek term meaning “a change of name” A figure of speech that." Unit 11 Definitions Included Created by Kathy Young Based on the Illinois STAR Vocabulary Booster Adult Learning Resource Center, Arlington. 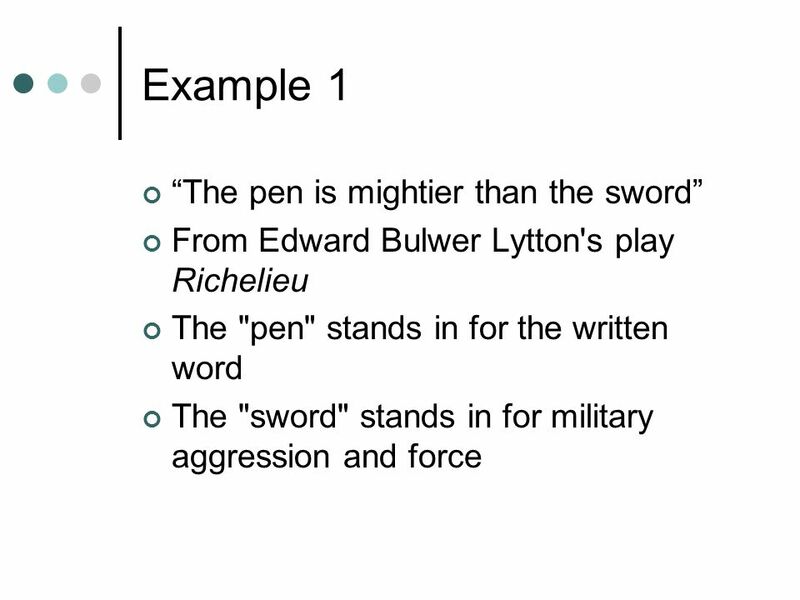 Allusion Notes What is an allusion?. Julius Caesar Background on William Shakespeare Globe Theatre Literary Devices Tragedy Background on Julius Caesar. 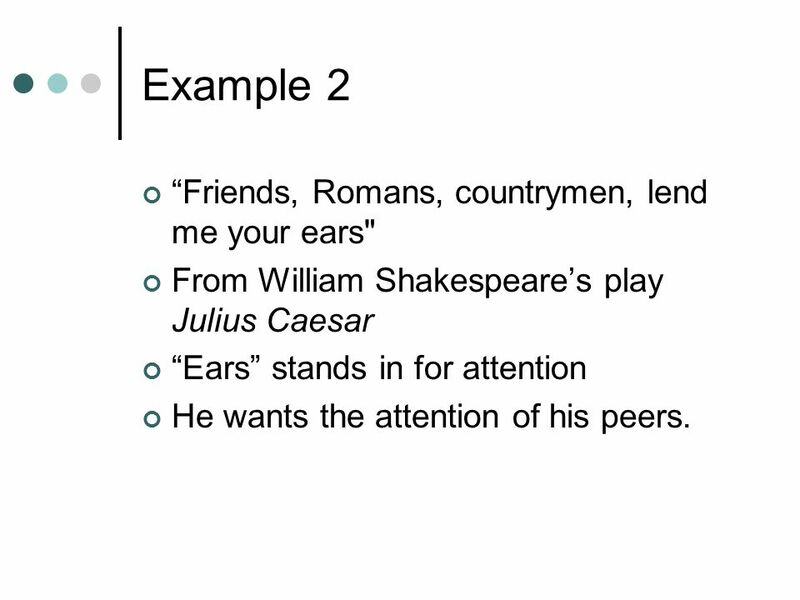 ACT II Literary Elements of Julius Caesar William Shakespeare Julius Caesar. Indefinite Pronouns Goal: Students should be able to identify and correctly use indefinite pronouns.